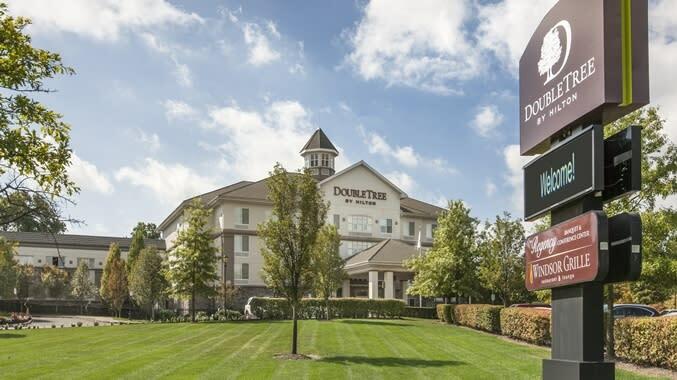 Enjoy contemporary facilities, spacious accommodations and a warm chocolate chip cookie upon arrival, when you stay at the DoubleTree by Hilton Hotel Nanuet. 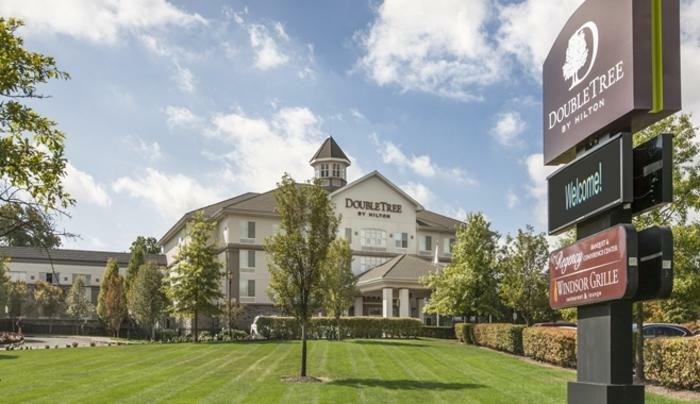 Boasting a fantastic location just 25 miles from New York City and 28 miles from the United States Military Academy; this friendly Nanuet, New York hotel offers easy access to numerous shopping, dining and entertainment options. The village of Nyack, Bear Mountain State Park, the Palisades Center Mall and St. Thomas Aquinas College can all be easily reached from our Nanuet hotel in Rockland County, NY. Feel at home in an inviting Guest Room, equipped with modern amenities including complimentary WiFi, a large, ergonomic desk and an iHome Clock Radio. Choose a spacious Suite for a separate living area, a full kitchen and a whirlpool tub. Plan an event for up to 250 people at this Nanuet, NY hotel with 5934 sq ft of flexible function space and contemporary A/V technology. Charge your smartphone in the common area and stay connected with a variety of services in the 24-hour business center. Maintain your exercise regime in the complimentary fitness center or unwind in the atrium, where you can refresh in the indoor swimming pool or hot tub. Wake up to a variety of hot and cold favorites in our contemporary breakfast room. Dine on fresh seafood, juicy steaks and delicious daily specials in Windsor Grille, or simply relax at the end of a busy day and savor a glass of wine or a malt whisky from our lounge’s extensive selection.